Britain's Kings of Be-Bop Rock 'n' Roll, Jive and Swing are back with their third album. Authentic swinging sounds of the 1950s with covers of American and British artists such as Bill Haley and Tommy Steele, and a handful of Art Baxter songs too. Their own material is of equal standard with the original Look So Deep being one of the choice tracks. 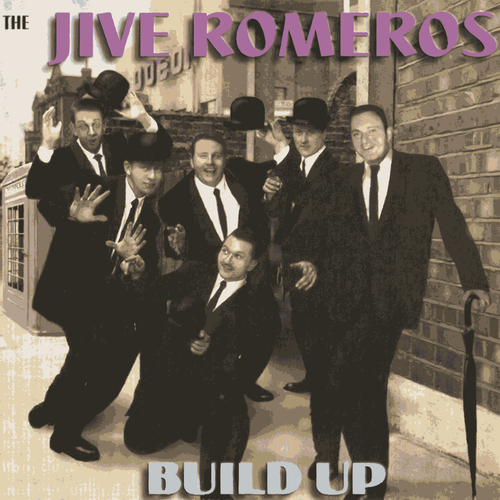 The Jive Romeros have returned to their original sound which combines British Rock 'n' Roll with American Big Beat Swing, and have presented their strongest release to date. The addition of ex-Stargazers Johnny Wallace "the coolest sax-man on the planet" is the icing on the cake. The Big Beat is back!